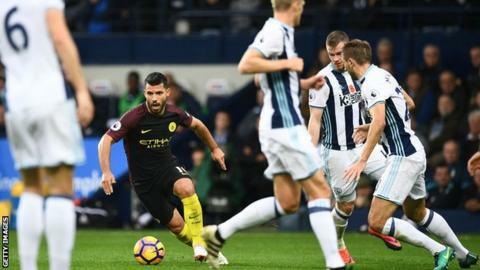 West Bromwich Albion host to league leaders Manchester City from the Hawthorns on Saturday. The Baggies have not tasted victory in their last seven league outings, and this has seen them drop to 13th on the table with 10 points. On the other hand, Manchester City are having the best season in their Premier League history with 25 points attained from their opening nine matches. They are presently five points ahead of second-placed Manchester United, who face a testing game against Tottenham Hotspur this weekend. The Baggies had a run of nine winless during the backend of the previous campaign, and they appear to have entered a similar streak with no victory since the second game of the campaign. Despite this, they could be backed at 12/1 for a win with Betfair. Meanwhile, Pep Guardiola's side have not put a foot wrong since the start of the season, and they will fancy their chances of maintaining their 100 percent record on the road. The table-toppers are pretty much favourites for the encounter, and they are priced at 2/9 for a victory with William Hill. WILL RONALDO JOIN NEYMAR AT PSG? There are reports in Spain that Cristiano Ronaldo is open to exiting Real Madrid after nine years. The Portuguese has reportedly held informal talks with French giants Paris St Germain ahead of a potential move, jsut months after PSG broke all the records in signing Neymar. The Ligue 1 side would be willing to offer the four time Ballon d’Or winner a blank cheque if he agrees to a move. Diario Gol claims the talks were held at a hotel in Madrid as the player wants to know his options. The Portuguese giant has openly flirted with the idea of signing former Barcelona star Neymar, saying that palying alongside players of that calibre would always be of interest to him. 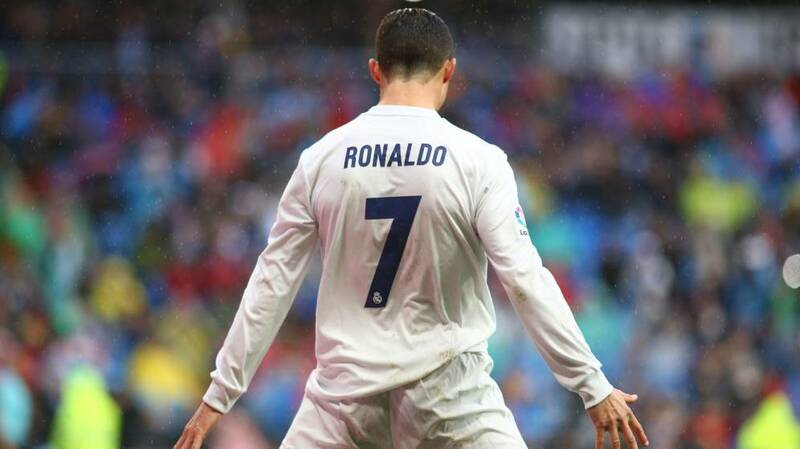 Read more about WILL RONALDO JOIN NEYMAR AT PSG? Manchester United will entertain Crystal Palace at Old Trafford on Saturday afternoon. The Red Devils have cruised through the first six games of the campaign, and they are only behind Manchester City on goal difference with 16 points. On the other hand, Palace are in a wretched run of form, and currently, find themselves rock-bottom of the standings. Manchester United secured the fifth victory of the campaign last weekend as they clinched a hard-fought 1-0 win over Southampton. Romelu Lukaku scored his six league goal of the season for United. 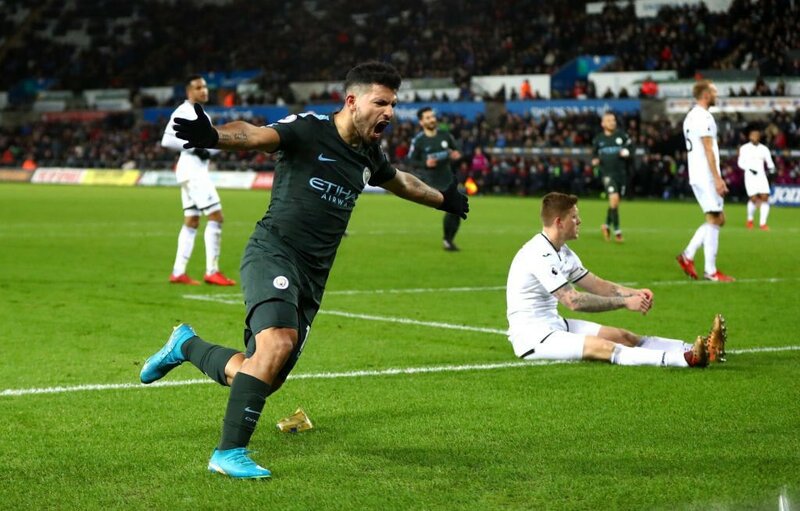 Meanwhile, Crystal Palace suffered their sixth straight defeat in the top-flight after they thrashed 5-0 by Manchester City at the Etihad Stadium. Roy Hodgson's side have yet to score a league goal this season, and things look gloomy as they travel again to Manchester. The previous meeting between the clubs was at Old Trafford with United claiming a comfortable 2-0 win. Josh Harrop and Paul Pogba found the net in what was the final game of the 2016/17 season. Arsenal will seek to continue their recent unbeaten streak when they take on Watford at Vicarage Road on Saturday evening. Arsene Wenger's side secured three wins and a draw in the month of September, and this has brought them within six points of league leaders Manchester City. Meanwhile, Watford are just a point behind the Gunners after having performed exceptionally away from home this term. Despite their impressive start, Watford have failed to show up in front of their home fans with just two draws in three matches. They also suffered a humiliating 6-0 defeat at the hands of Manchester City, and this does not hold good for the Gunners clash. Marco Silva's side could nevertheless be backed at 9/2 for a win with Sportingbet. After eight games, it is still too early to name the likely winners of the English Premier League but the table has started taking shape. The likely ‘Top Six’ teams are not too far from expected spots, thoguh some expectations have changed. Pep Guardiola’s men struggled with the goals initially but they seemed to have exploded as the goals started flooding in. As the Spaniard tries to work wonders with the team this term, following huge expenses already, he has selection headache, fitness concerns of some players but the depth in the team more than compensated. Read more about WHO WILL WIN THE PREMIER LEAGUE? Former Manchester United and Liverpool forward Michael Owen claims that he is expecting Harry Kane to come up with first goal in the match against Malta. England are against Malta in a World Cup qualification match and victory for Gareth Southgate’s team in this game will put them one step closer towards sealing a place to the World Cup 2018. England are expected to get a comfortable victory since Malta are one of the lowest ranked teams in the world. The opponents have been able to achieve no wins in the opening six matches of the season while they have also been able to score only two goals. There is an increasing number of footballers that have made the shift to horse racing at the end of their footballing career. However, this is not a new trend as there are a few footballers that had done so in the past. Here are 4 former footballers that have made the transition to horse racing. Most football fans will remember the former Manchester City and Newcastle midfielder for his antics off the pitch rather than his playing skills. The player was a nightmare to manage for every manager he has played for, and the majority of them will be hoping that he never play for them again. Minnesota United moved from the bottom of the Western Conference following a convincing 4-0 win over DC United. Minnesota had failed to find the net in their previous three outings, but they managed to settle the scores against DC. Christian Ramirez and Abu Danladi gave Minnesota a 2-0 lead before halftime while an own goal added another to their tally. Miguel Ibarra finished things off with a delightful in injury time in the second half. Meanwhile, Seattle Sounders had to adjust with a 1-1 draw against LA Galaxy after they failed to find the breakthrough despite their opponents playing with 10 men in the dying minutes. Sunderland take on Derby in the first weekend of the Championship action as they seek a return to the top flight in the first instance. After having been relegated from the top division in extremely poor circumstances by finishing bottom of the table, Sunderland will have their work cut out in the 2017-18 season. Simon Grayson was appointed as the new manager for the club in place of David Moyes, who left Sunderland at the end of the season. The club have been reasonably active in the summer transfer window by bringing in the likes of James Vaughan, Jason Steele, Aiden McGeady, and Tyias Browning. There have also been a couple of loan signings in the form of Lewis Grabban and Brendan Galloway.